What impact does tourist traffic have on your area? (A) Roads become severely congested & at times become ‘gridlocked’. (B) There is a little more traffic than usual but no delays. (C) No impact on the roads at all. 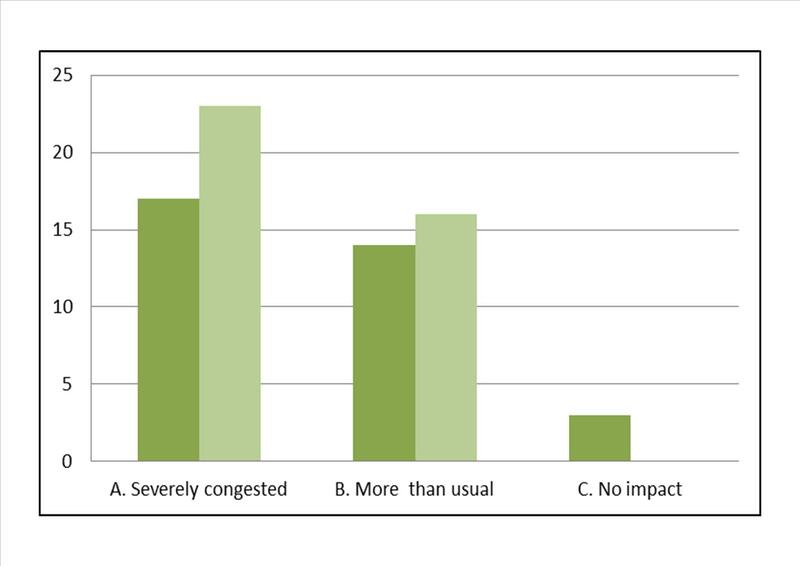 What impact does the road network have on your work? (A) Traffic jams are often experienced when travelling to work and cause delays. 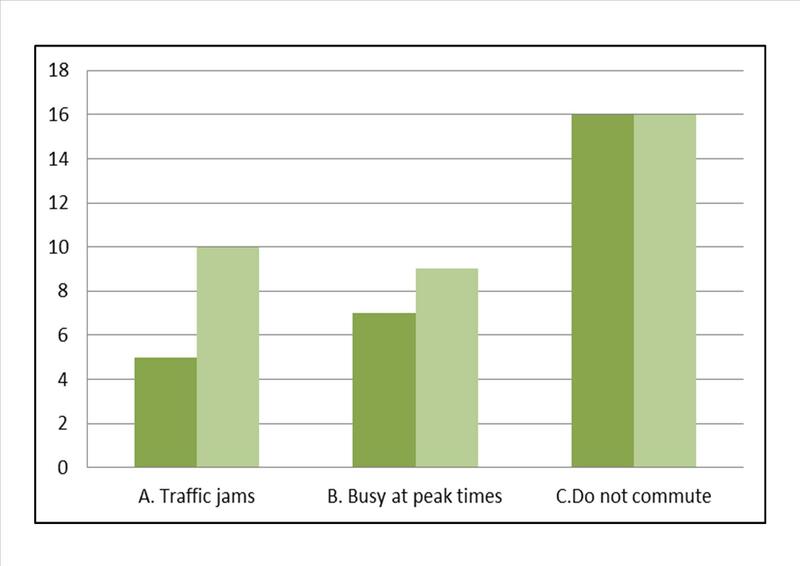 (B) The roads become busy at peak times but do not cause problems. (C) I do not commute to work so it does not cause a problem. 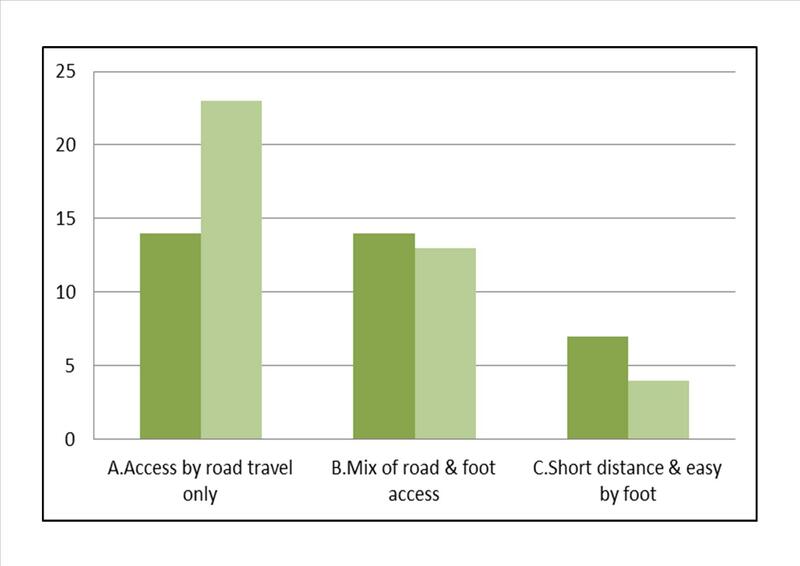 How good is your access to shops, leisure & health facilities? (A) No access to any of them unless travel by road. (B) Some are easy to get to by foot but most need to be reached by road. (C) All these services are easily reached by foot or a short distance by road. What is the impact of living on the peninsula surrounded by water? (A) Road access needs to be improved. (B) Greater use of Water Transport & Ferrys. (C) The area has reached maximum capacity. What impact would new building have on your area? 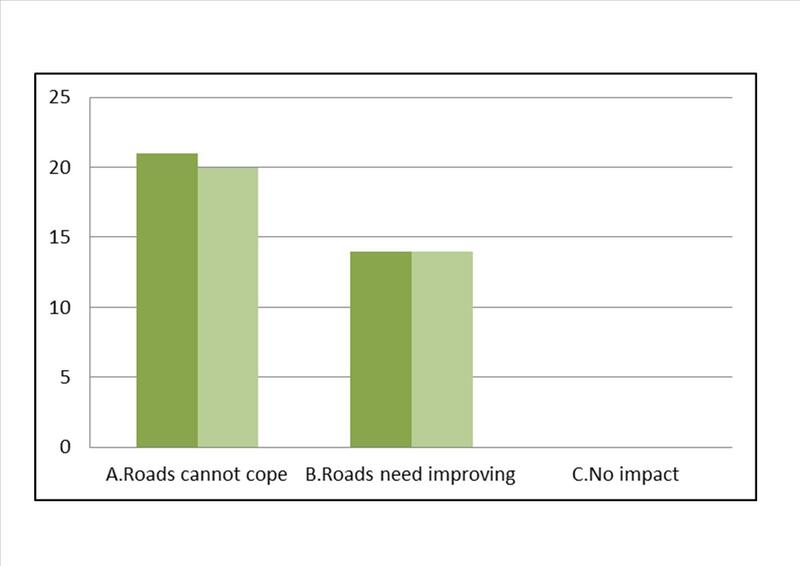 (A) It would be bad for local people & create extra traffic that the roads cannot cope with. 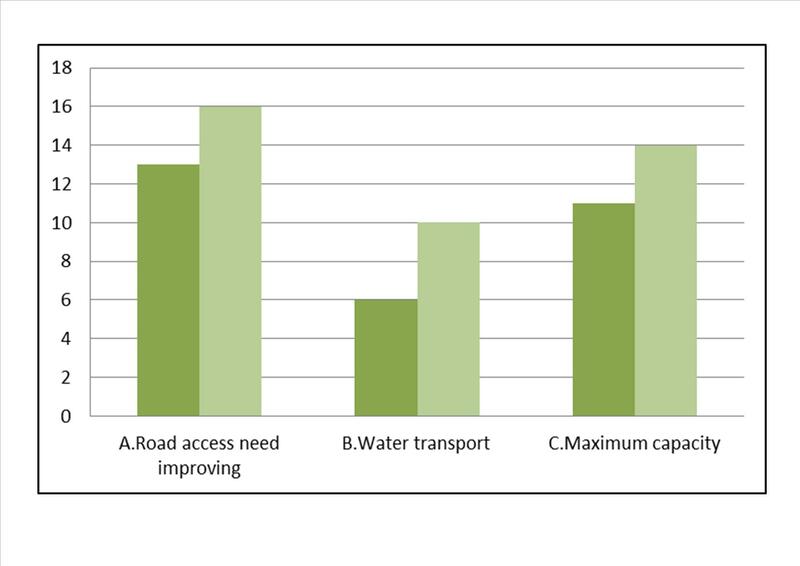 (B) It would be good for local people but the road access would have to be improved. (C) It would have no impact on the area or the roads. (A) Speed limits need to be reduced along the route. 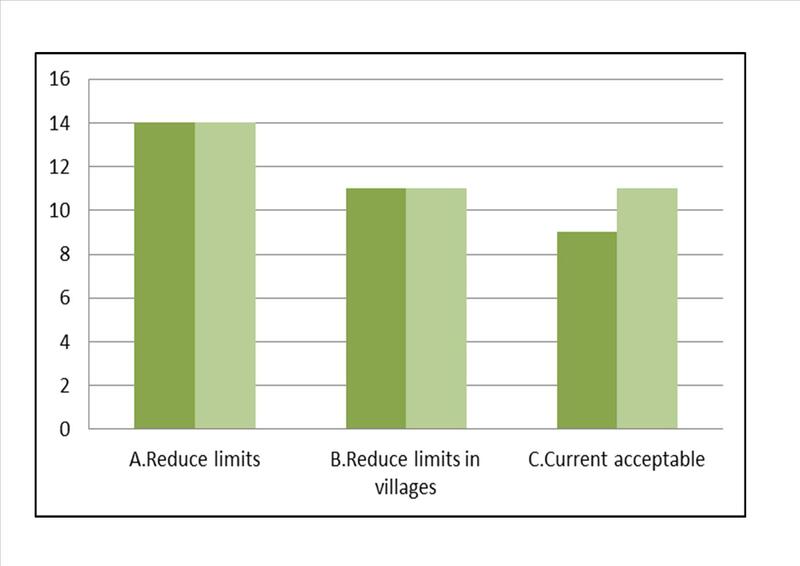 (B) Speed limits need reducing through villages only. (C) Current speed limits in place are acceptable. • Flower pots at Cremyll cause problems for buses turning and should be moved back 10 feet. • Buses and lorries should be encouraged to use a one way system into the Peninsula along road through Millbrook and out around the cliff road to prevent jams. Traffic bollard at Hounster Hill should be removed – this is dangerous to lorry drivers. • On special occasions in Cawsand car parking car parking can become a nightmare on grass verges and outside the car park including the triangle making it difficult for local residents to park after work. Torpoint ferries have become very unreliable especially for early commuters. • The road from Millbrook to Tregantle should be made wider to conform to the rest of the country. At the moment two large vehicles or caravan cannot pass. The road should be a minimum of 20 feet wide. • Pedestrian crossings at village hall & St.Johns Close and crossing on New Rd to the new tractor park. • Millbrook to Crafthole road to be widened. • Need to relieve the congestion of parking outside Fourlanesend school. More space needed. More signs in Cremyll needed for through traffic near the Mount Edgcumbe pub. Accidents waiting to happen. Pedestrians wander not realising traffic can access through to Mashfords boatyard from Cremyll ferry. • Illegal and dangerous parking outside Fourlanesend school and Kingsand Community hall (pre-school), make it very dangerous for other car drivers and pedestrians, parking on and blocking pavements is a continual concern and hazard. • In the height of the summer, parking is a nightmare for local people as the tourists will try to avoid paying car park fees and taking up the few spaces which are usually used by locals. On the estates, you can’t even park near your own house. There have been times when the locals have had to park in the car park (around 10 mins walk from their home) as their usual spaces have been taken by visitors. • Local people should be encouraged to use the local shops and facilities to ensure they can keep trading. This would also take some traffic off the road. • I personally feel that traffic travelling down and coming up to Fourlanesend school drive over the speed level & children walking up from Kingsand do have to cross the road to get to the school and I feel a deterrent of some sort should be introduced. • During the holiday season I feel more car parking would be a good idea. This would stop all the cars parking on the roadside up school hill and also parking on the estates so local people can’t get in and park if they go out. Very often during the school holiday time if I see visitors they have a problem to park. I live in Green Park and a lot of people come and park here for days at a time even local village people which I think is very unfair. • It would be great if we had daily/hourly buses to Saltash & Liskeard as many of us do not like going into Plymouth. Cheaper fares for bus users as it keeps cars off the road. The traffic situation at the Heart & Hand pub to Hounster Hill in Millbrook should be changed and traffic lights installed. Speed bumps or a zebra crossing should be installed on the road down from Fourlanesend school down to the villages of Kingsand/Cawsand. It would be a good idea for spot checks for drink driving at kicking out times out of each of the villages on the Rame Peninsula. 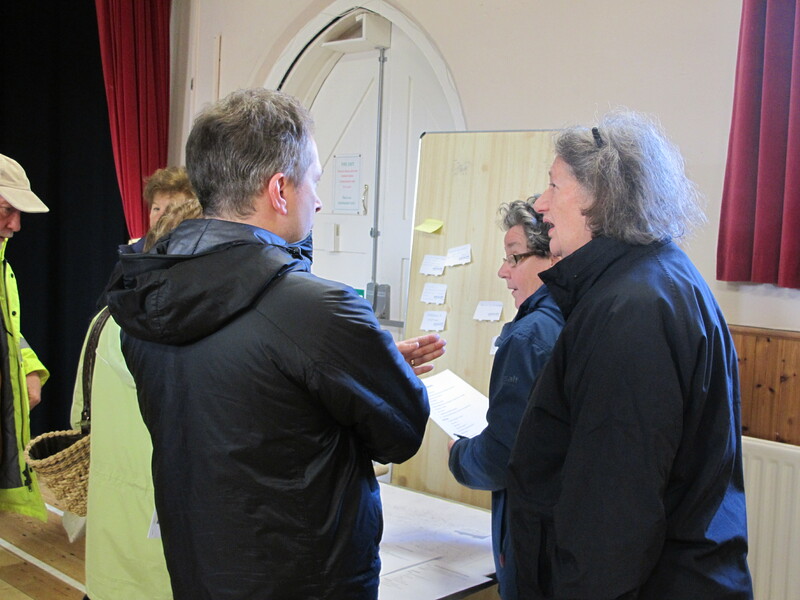 • Speed from Fourlanesend school to Cawsand should be greatly reduced, more car parking facilities for Kingsand & Cawsand. Traffic on Peninsula – one way system? • More limited parking spaces needed for shoppers to visit shops etc. • More parking facilities are urgently needed, particularly during the summer months. • We would like ‘tenants parking’ at Coombe Park estate and double yellow lines either side of the entrance to the estate. • Additional parking areas (ie farmer’s field) needed during peak summer periods. Residential areas used by locals who live and work here often find parking taken up by visitor’s cars. Sometimes they do not move their cars for days. • I would not like any more permit parking to be imposed on residents. • Want a car park Kingsand end. Green Park & Coombe Park should be residents only and one car per household with no work vehicles. The space outside Coombe End surgery painted ‘surgery only’. People park all day so hard for disabled people. More policing and traffic wardens on special occasions (eg. Turk Town, Gig, Black Prince). Double yellow lines on the entrance to Coombe Park. You are in the middle of the road before you can see what is coming up or down. • During summer months the road from Coombe End to Coombe Farm becomes heavily congested due to traffic parked at road side and entrance & exit to Coombe Park becomes quite dangerous due to restricted view because of parked vehicles too close to entrance to estate. • New Rd in Cawsand has a large area yellow lined near the fort which is OK. However, one small area on a completely blind bend has no yellow lines. This would be the most important place to put them, more than the rest in fact. This is a dangerous bend. • We need more frequent buses going to Liskeard, Saltash and Torpoint. The route to Torpoint must be shortened by not bumping along in the housing estate. All thoses sleeping policemen cannot be good for the buses. We need them earlier and later in the day and also Millbrook, Cawsand & Kingsand miss out on a bus back from Torpoint when the school day ends. This is inconvenient. The Cawsand ferry ought to be cheaper for locals – we would use it more.